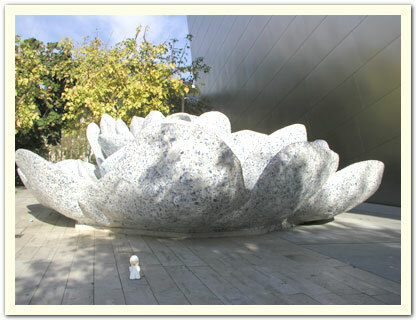 Bumperboy visits the garden area of the Walt Disney Concert Hall. This gigantic rose is made of broken pieces of pretty blue and white plates! January 2006. 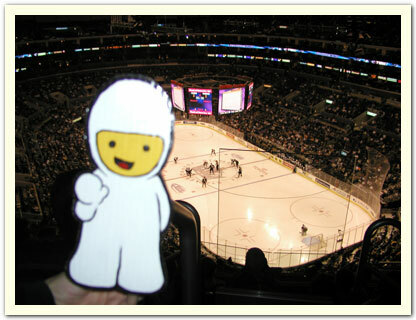 Photo taken by Ben C.
It's Bumperboy's first hockey game! This contest was between the LA Kings and the San Jose Sharks. The Sharks won this game in Overtime! 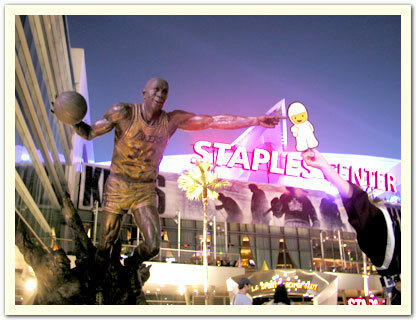 Bumperboy meets the statue of Magic Johnson at the Staples Center. 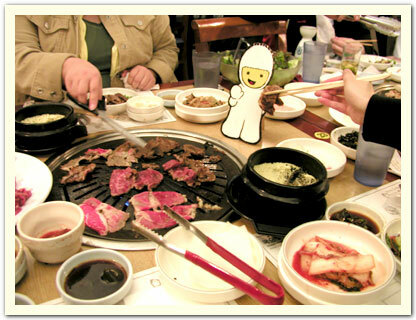 And Bumperboy ends his trip with an all-you-can-eat Korean BBQ. Yummy, but too much meat!